We bring Falmouth Organic Produce! Casco Bay Organics brings fresh and organic fruits and veggies right to your home or business in Falmouth, ME. Customized boxes, no commitments, weekly or bi-weekly delivery!! Casco Bay Organics is your online farmers market! 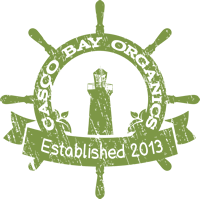 Give the perfect gift of Casco Bay Organics.